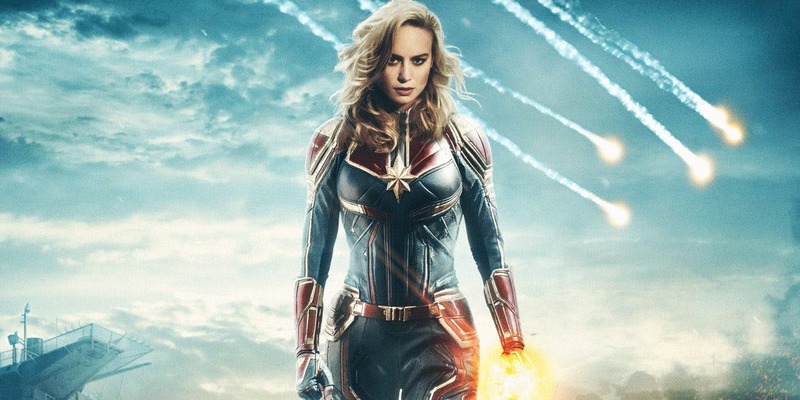 Marvel has finally released the first trailer for the much anticipated Captain Marvel. The film will serve as the MCU’s first prequel, since it’s set in the 90s and follows a pilot with superhuman powers who gets caught in the middle of a galactic war between two alien races. It’s also the first MCU film with a female lead, with the titular heroine being played by Oscar winner Brie Larson. The trailer hits the typical Marvel beats, but does add some extra intrigue with Samuel L. Jackson and Clark Gregg being digitally de-aged to fit the timeline, and the 90s setting itself should set the film apart from its superhero contemporaries. One hopes that it isn’t just a bevy of 90s references though, as the opening shot of Blockbuster video perhaps implies. Lee Pace and Djimon Hounsou are reprising their Guardians Of The Galaxy roles, while Ben Mendelsohn and Jude Law are also on board to round out a pretty excellent cast. Anna Boden and Ryan Fleck (Mississippi Grind) are directing from a script penned by Meg LeFauve (Inside Out), Nicole Perlman (Guardians Of The Galaxy), Geneva Robertson-Dworet (Tomb Raider), Liz Flahive and Carly Mensch (GLOW), as well as the directors themselves. Captain Marvel hits cinemas March 8, 2019.